Revolutionary hero, founding president, and first citizen of the young republic, George Washington was the most illustrious public man of his time, a man whose image today is the result of the careful grooming of his public persona to include the themes of character, self-sacrifice, and destiny. As Washington sought to interpret the Constitution's assignment of powers to the executive branch and to establish precedent for future leaders, he relied on his key advisers and looked to form consensus as the guiding principle of government. His is a legacy of a successful experiment in collective leadership, great initiatives in establishing a strong executive branch, and the formulation of innovative and lasting economic and foreign policies. 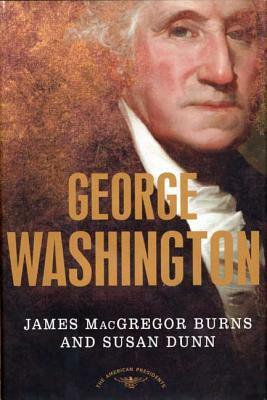 James MacGregor Burns and Susan Dunn also trace the arc of Washington's increasing dissatisfaction with public life and the seeds of dissent and political parties that, ironically, grew from his insistence on consensus. In this compelling and balanced biography, Burns and Dunn give us a rich portrait of the man behind the carefully crafted mythology. James MacGregor Burns was the Woodrow Wilson Professor of Political Science Emeritus at Williams College and a senior scholar at the Jepson School of Leadership Studies at the University of Richmond. He was the author of numerous books, including Transforming Leadership, Roosevelt: The Lion and the Fox, and the Pulitzer Prize-winning Roosevelt: The Soldier of Freedom. Susan Dunn is a professor of literature at Williams College and is the author of many books, including The Three Roosevelts (with James MacGregor Burns). She has been the recipient of fellowships from the Mellon Foundation and the National Endowment for the Humanities, among others. She lives in Williamstown, Massachusetts.